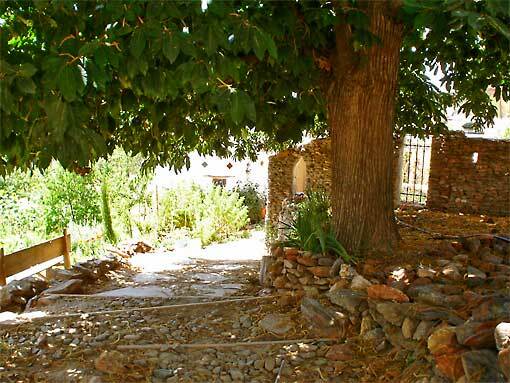 Cortijo Llano de Manzano is set in a beautiful and tranquil three acres of walnut, peach and cherry trees, rocky outcrops, and stone-walled terraces on the southern slopes of the Sierra Nevada Mountains in Spain. The air is the cleanest in Europe, the views are breathtaking, and on a clear day you can see the Atlas Mountains of North Africa across the Mediterranean Sea. Llano Manzano is bordered by beautiful acequias, water channels that form part of an irrigation system built by the Moors over 500 years ago, which create enchanting little waterfalls. There are many places for relaxation and reflection and beautiful mountain walks in all direction. Cortijo Llano de Manzano is a centre for personal growth and spiritual development and a family home and organic small-holding where we aim to be as self sufficient as possible in the long-term; sustain the land by nurturing rather than depleting; pursue organic and eclectic farming methods; and create a beautiful, nurturing environment for ourselves, our friends and visitors. 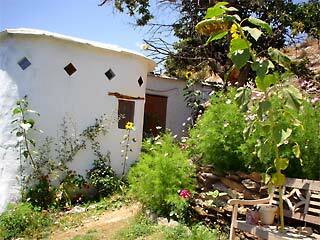 Here we lead an eco-friendly low impact alternative life-style, using composting toilets and solar energy. As well as growing vegetables, flowers and trees, we keep goats, sheep and chickens. Occasionally we have water shortages and have to conserve our consumption. 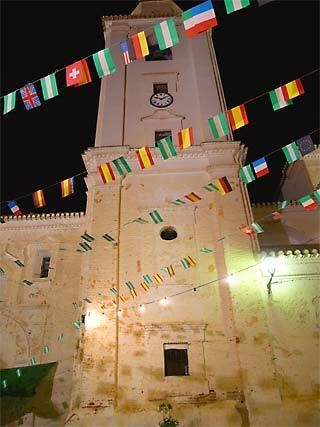 The climate here is very agreeable, but August and July are usually very hot and February is the coldest month. 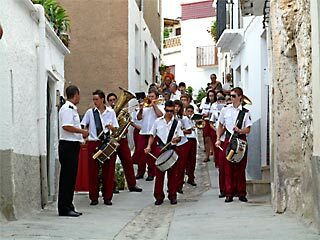 We are a 15-minute walk from the small and unspoiled mountain village of Cañar. 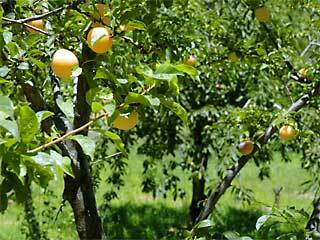 The Andalucian countryside here is both rugged and tranquil and we are surrounded by breathtaking views and wildlife. 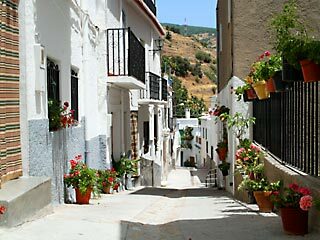 We are in an area known as Las Alpujarras, which refers to the whole southern side of the of the Sierra Nevada mountains and the valley below. It is an area of stunning natural beauty with its own unique and very diverse mini-ecology. 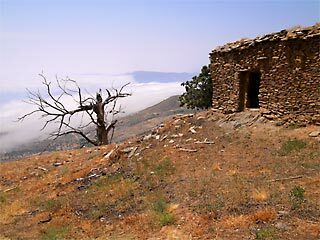 The Alpujarras has a special place in Spain's history as the last area in the country under Muslim control. The name itself is Arabic in origin, and may well mean “place of silk”—raw silk production was the mainstay of the area's economy in the Middle Ages. The scenery is diverse, with cultivated terraces of almond trees and vegetables watered by the snow-melt from the mountains, deep valleys running down to the Mediterranean, and the lush green Andalucian countryside contrasting with the rugged peaks of mainland Spain's highest mountain range. The Sierra Nevada is a protected National Park and a Unesco Biosphere Reserve in recognition of its exceptionally diverse plant, bird and animal species. For nature lovers, the range is a paradise—with over 2,100 plant species (80+ of them unique), around 116 varieties of butterfly, and an enormous variety of birds and insects. The mountain offers wonderful walks over dramatic, rugged terrain with panoramic views of land- and seascapes. It is common to see Golden Eagles flying overhead, rabbits and foxes in the undergrowth, wild mountain goats roaming in herds, and the colorful Hoopoe with its undulating flight and haunting cry. The beautiful white villages of Pampaneira, Bubión and Capileira lie to the east in the neighboring high mountain valley. 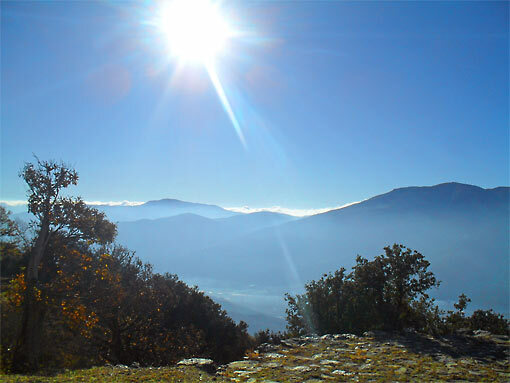 The two nearest towns in the valley below are Órgiva, the provincial capital of the Western Alpujarras, and Lanjarón. Both offer a wide variety of amenities as well as an “old town” atmosphere, characterized by picturesque streets and courtyards. The Balñeario de Lanjarón is a natural spa famous for its healing waters, massage and hydrotherapy treatments. The Tibetan Monastery, O Sel Ling, a Buddhist retreat center, lies across the valley. It was named by the Dalai Lama as “the Place of the Clear Light”. About an hour away to the south is the nearest beach at Salobreña. The historic city of Granada, centre of the last Muslim kingdom of Andalucia, lies to the north. It offers the splendor of the Alhambra Palaces and the old Arab quarter, the Albaicín, as well as flamenco and local arab-style baths. God has blessed you with a divine place and situation to conduct your good work for humanity! I love your place and the amazing energy it has! Blessings to you! Guruji Aruneshvar, Spiritual Master of the Param Shiva Adi Nath Sect, Blue Light Foundation for Shiva, Mumbai, India.